If there is one thing you can bank on if you spend a week on Vancouver Island in late winter/early spring, it’s rain. I mean, just take a look at the forecast for this week in Victoria, BC. I’m not complaining. Being born and raised here in Victoria, I’m quite used to it. Also, Victoria is dubbed ‘The City of Gardens’, which can be attributed to how well mother nature waters our gardens. So what does this have to do with promotional products or print? One word: Umbrella. UMBRELLAS are your best friend. You’ll find most people have an umbrella stashed different places in their life (home, car, office..etc.) so that if it wasn’t raining when they left home, they’re still covered. This is why these make great handouts. Or even retail pieces! 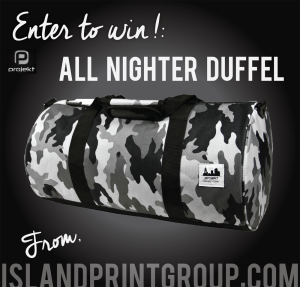 As with most promotional products, the choices can be overwhelming. However, that is why we’re here. 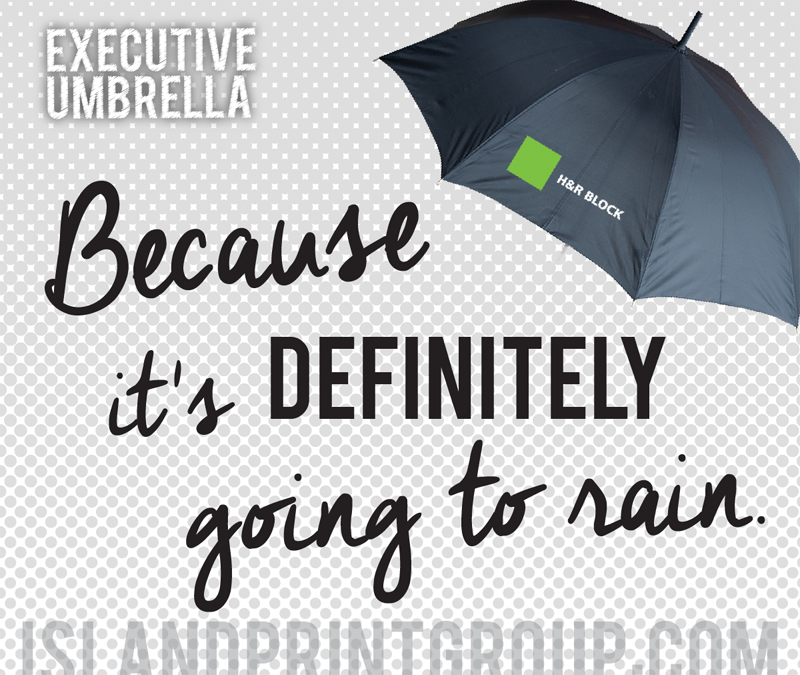 We’ve tried and tested so many umbrellas that we’ve lost count. 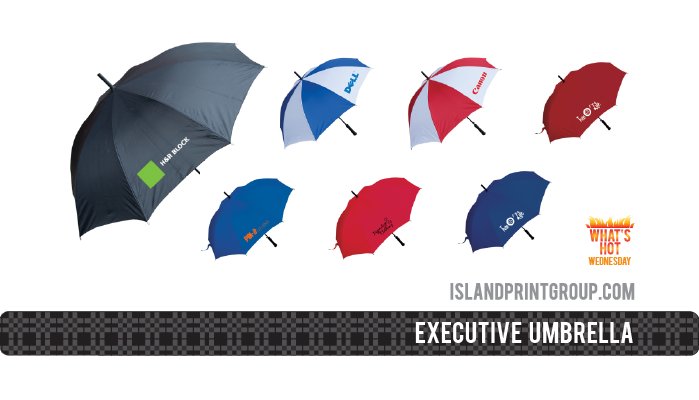 Take the Executive Umbrella for example, it’s one of the best bangs for your buck. It’s made of 190T polyester, has a 10mm black metal shaft and frame, automatic open (which is GREAT when your hands are full! ), velcro tie closure and a new sturdy handle with stronger shaft. With an 8.5″W x 8″H screen print panel, your brand won’t go unnoticed. Looking for something to suit some very specific needs? Drop us a line! We’d be happy to recommend the best for you.